Saying goodbye to your dog is one of the hardest and most painful things every dog-parent has to go through. 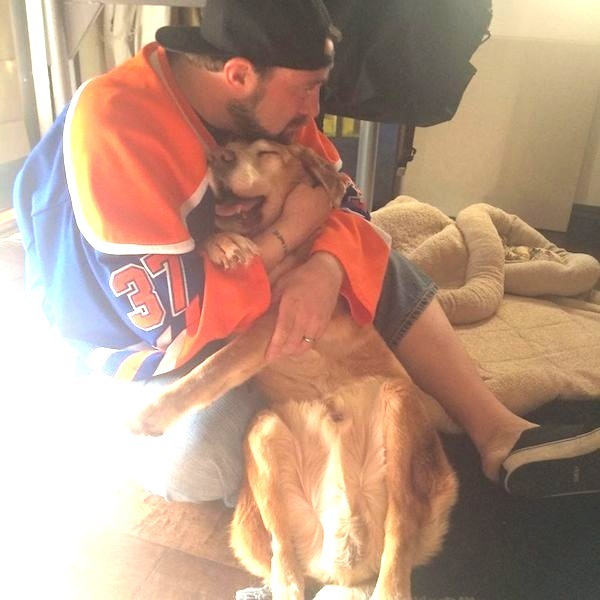 After years of giving you unconditional love, you have to say a permanent goodbye. And nothing can prepare you for it. Different people grieve for their dying dogs in different ways. 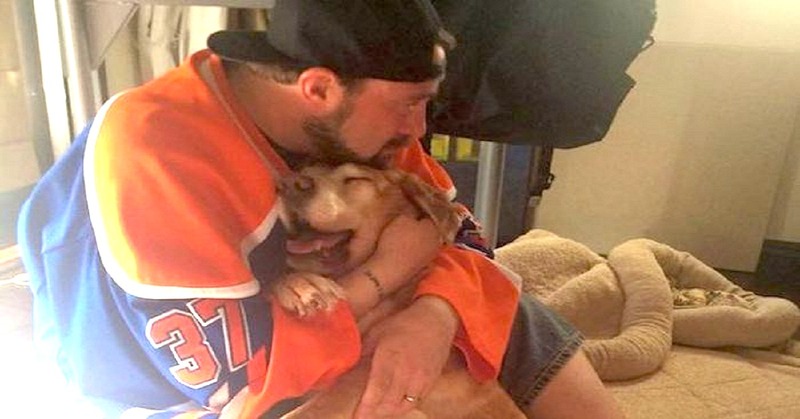 Movie director Kevin Smith decided to write a post on his Facebook page, sharing the pain of saying goodbye to his old dog Mulder. Mulder had been with Kevin for 17 years and was now dying in Kevin’s arms. Kevin put up a photo of him hugging Mulder in his final moments, and wrote a post to go with it. He poured his heart out in the post, reminding us that our dogs are not going to be with us forever, and to hug our dogs every chance we get. I have to admit, reading his post brought me to tears and made me give a long hug to my dog. Remember to cherish every minute you have with your pets. You are their whole lives and you’re going to miss them something awful when they’re gone.